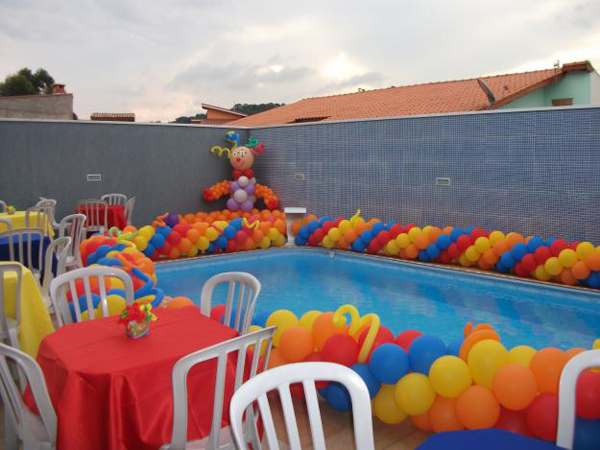 Make a giant splash this summer at your very own pool party! Have fun choosing a theme, gathering ideas, setting up....and before you know it, your guests will be having a grand time. 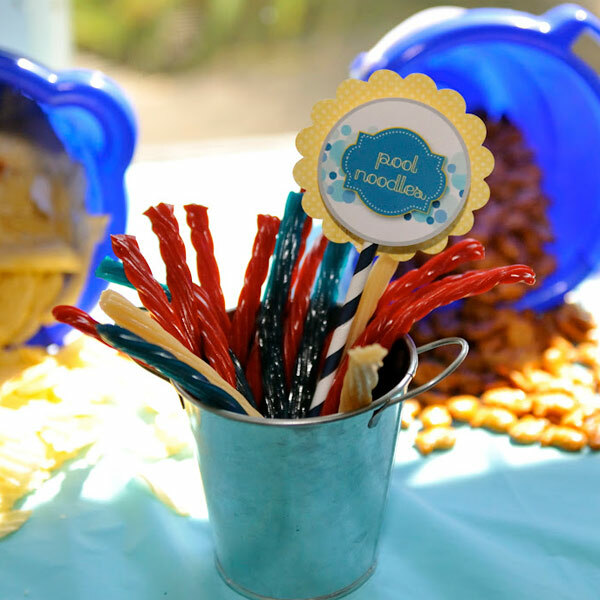 We've compiled some really cool food ideas that you can use for your pool party. Scroll down and take a dip into some awesome pool fun! 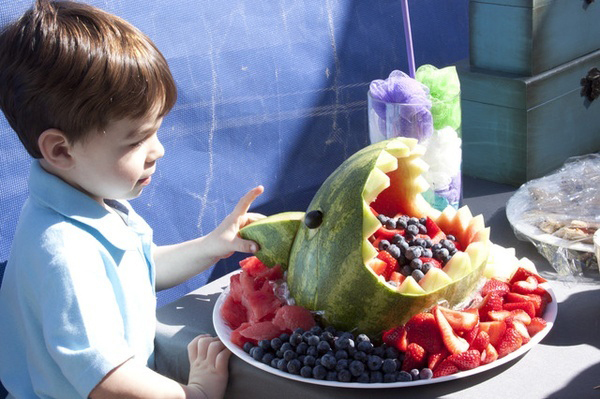 Use your creativity to carve a hungry looking shark out of a watermelon. Fill with all sorts of fruit and you can be sure this platter will be the center of attention at the party! 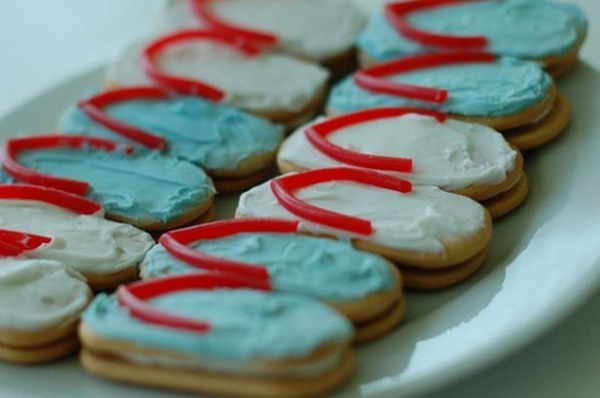 With some cream cookies, frosting, and licorice strings, you can put together these awesome looking flip flops. Easy to make and adorable for your pool party, you'll watch these cookies dissapear from the plate! This a great way to get all that party junk out on the table. Pick up some cheap sand pails and shovels at your local 99 cents store or toy shop. 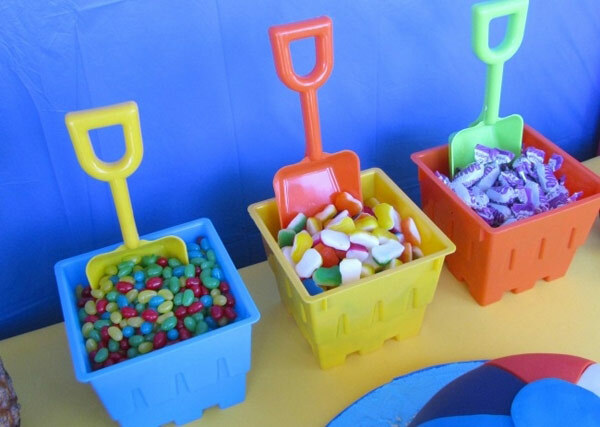 Load them with candies and let the kids have fun digging up lots of goodies. Kids will love this drink as a cool refresher on a hot day. 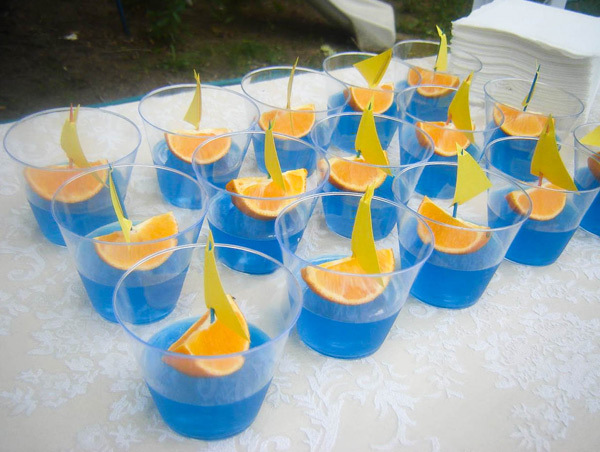 Have them make it themselves with some water, blue food-coloring, an orange slice, a toothpick, and a paper sail. Use your noodles to come up with some great food names that correlate with the pool! 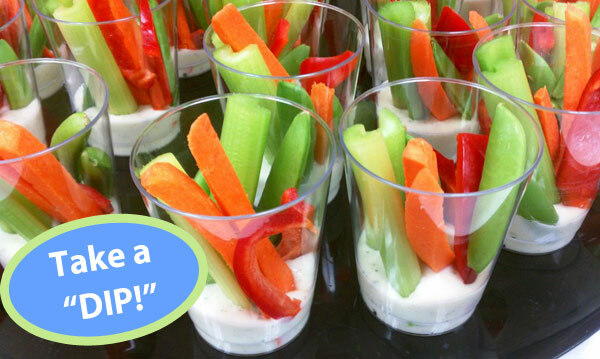 (Image above) Here is another creative way that you can name simple veggie and dip cups! 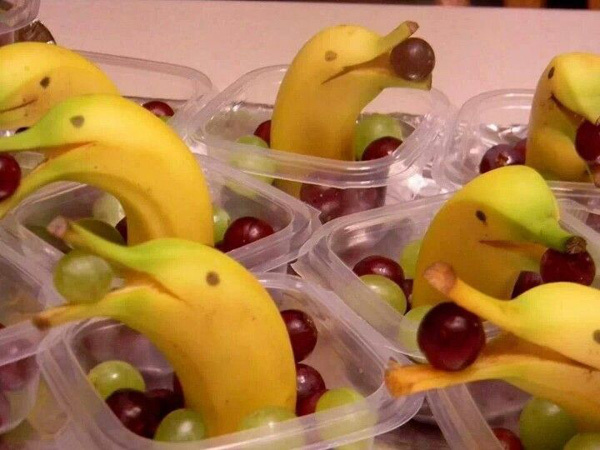 These dolphin snacks are adorable and will get kids excited to eat a healthy snack. Just draw 2 eyes on the peel with a marker, slice the banana at the stem for a mouth, and stick a grape in to keep it open. 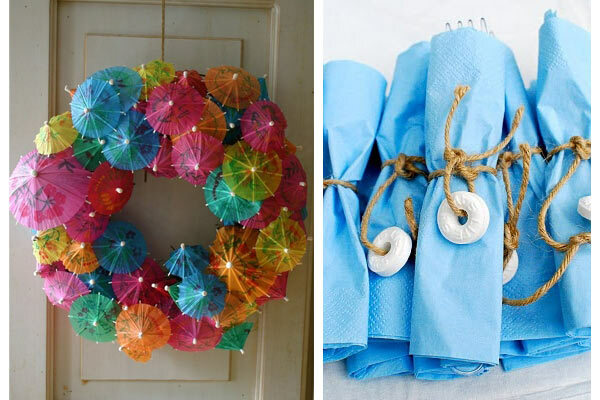 This Umbrella Door Artwork adds a nice party touch to your front door. For the neutral pool themed parties, use this idea to set up your cutlery. Use one of these ideas and SUBMIT your photos. Our team will choose a winner that will receive a $100 aBaby gift certificate. Photos can be submitted until August 28 2014.